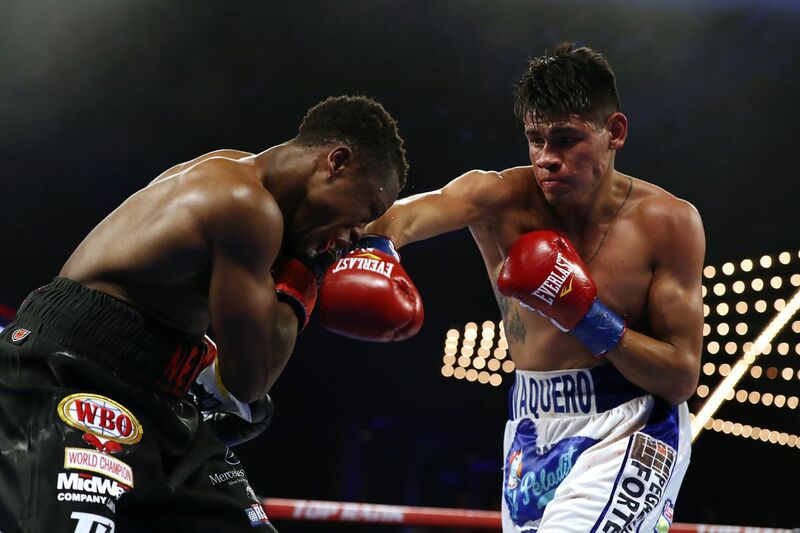 WBO super bantamweight titleholder Emanuel Navarrete will be facing Isaac Dogboe in a rematch this spring, with ESPN reporting that the fight is likely for May. Navarrete (26-1, 22 KO) upset Dogboe (20-1, 14 KO) to win the 122-pound title on Dec. 8 in New York on the Lomachenko-Pedraza undercard. The Mexican fighter won on scores of 115-113, 116-112, and 116-112 to take the belt. Navarrete, 24, came in as the underdog because he’d never really fought at or even particularly near the top level before, but it was one of those times where a fighter proved that just because you haven’t fought there, doesn’t mean you can’t. He ended the 24-year-old Dogboe’s breakout year on a sour note, and now the Ghanaian is looking to reclaim his title. Dogboe started his 2018 with a win over Cesar Juarez at home in Accra, and then came to the U.S. to win the WBO belt from Jessie Magdaleno in April in one of the year’s more exciting scraps. He made a defense in August, stopping Hidenori Otake in the first round, before the loss to Navarrete.